“The Leveler” may be added to any new pair ordered or you may ship your stirrups to our facility to have “The Leveler” added to your favorite pair of Nettles Stirrups. 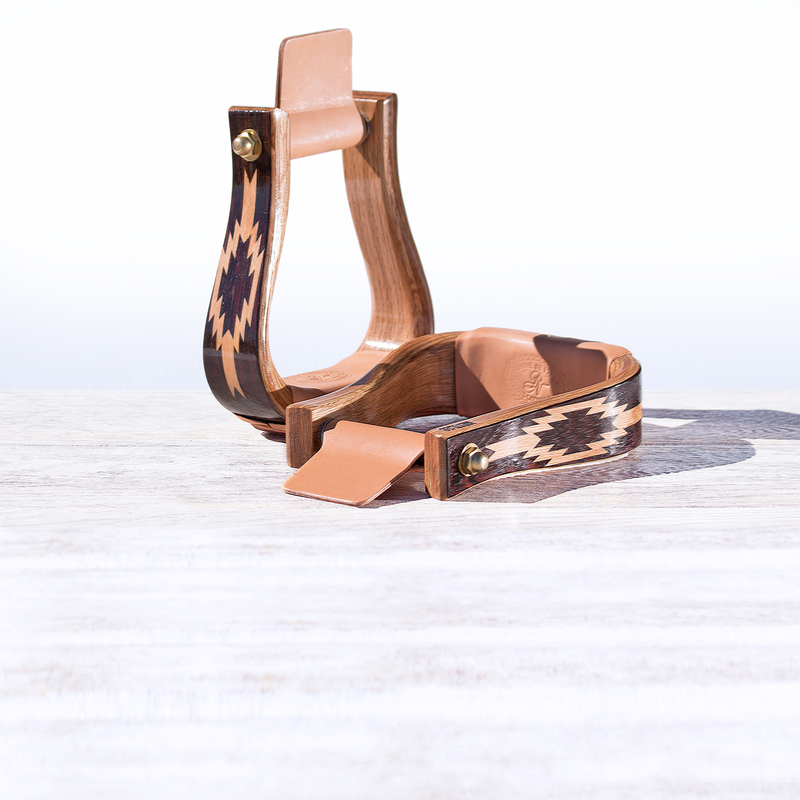 Our premier designer line features traditional Western Art, and Native American designs. Each piece is individually handcrafted with high quality and rare woods, silver and real stone inlays. The Black Oak Aztec features an oak inlay into a black wood overlay, in an oak or walnut stirrup, and with a varnished finish for a perfect, shiny look. 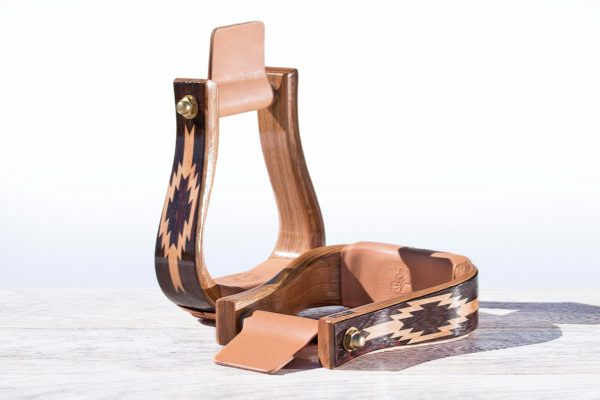 As with all Premier Flatbottom stirrups, the 6 pieces of laminated wood give it extra strength while the use of the highest quality leather for pin covers and treads guarantees you’ll have plenty of rides in the saddle before these stirrups need re-treading.